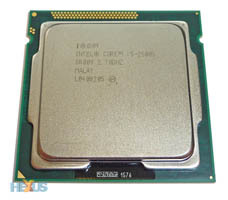 Chip giant Intel has a host of desktop processors in its 2011 line-up. Spend a little while perusing the ever-useful ark.intel.com and you'll find 17 second-generation (Sandy Bridge) chips listed, as well as over 100 other chips that, while supported, aren't current models. 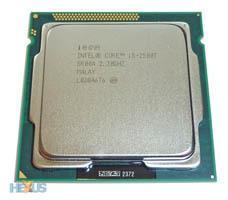 Complicating matters, Intel has low- and ultra-low-power versions of particular processors. Illustrating this point is the Core i5 2500 family of chips, made up of four distinct CPUs. The quartet of 2500-series processors are differentiated via three main factors: CPU speed, integrated graphics capability and power rating. You'll probably know all about the 2500K. The four-core, four-threaded chip runs at a native 3.3GHz and has built-in Turbo Boost 2.0 support. 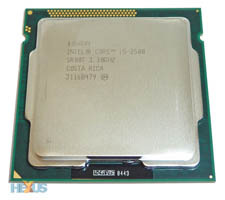 This means it can run at higher CPU frequencies, depending upon workload, and 3.7GHz is possible if a single core is worked, 3.6GHz if two cores are called into the mix, 3.5GHz for three-core usage, and 3.4GHz when all cores are stressed - exemplified by the Turbo Steps reference in the table. 2500K is special insofar as the user can increase the chip's multiplier upwards, which intimates, going by experience, it can be overclocked to near-5GHz without too much difficultly: one simply raises the multiplier to, say, 47x and keeps everything else at default speeds. Lastly, 2500K has the best-in-class integrated graphics, known as HD 3000. 2500 - the poorer brother? Does this mean one should only look at the 2500K chip? Well, there's a regular Core i5 2500 that's a little cheaper. It loses out on the ability to manually push the multiplier upwards, though strong Turbo Core support, just like the 2500K, means it can still run at 3.7GHz under certain circumstances. The regular 2500's graphics are a notch below the 2500K's - HD 2000 vs. HD 3000 - and as a rule of thumb, one should expect about 25 per cent less performance in 3D tasks. Coming in at the same power-draw of 95W TDP, you give up explicit overclocking and a reasonable dollop of graphics performance for a scant $10 reduction in price. We've been impressed with the power-frugal nature of Sandy Bridge chips. That said, yields are good enough to enable Intel to launch Core i5 2500 processors with a lower TDP rating, making them more suited to HTPC chassis and low-noise computing. 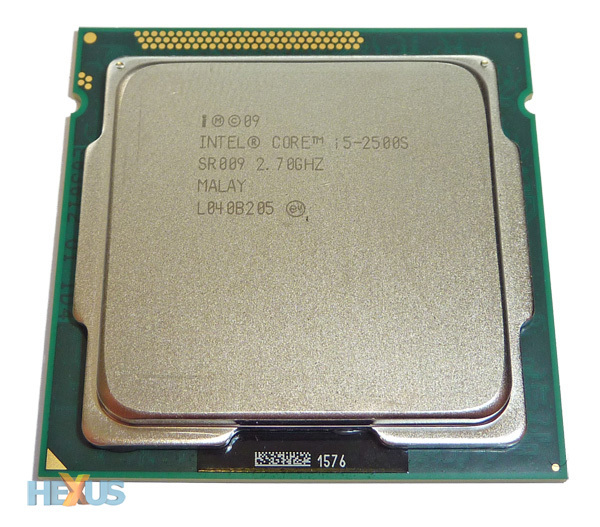 The 65W 2500S runs at a default 2.7GHz and can Turbo Boost right up to 3.7GHz. But bear in mind that really stressing the CPU (running all cores) leads to a one-step jump, to just 2.8GHz. Graphics characteristics remain the same as 2500, though. If 65W is just not low enough for you but you need the four-core love of a 2500 chip, help is at hand with the 2500T. This ultra-low-power processor ships with a 45W TDP - less than half the 2500's - and has a default frequency of 2.3GHz. While it can only run at 2.4GHz with all-core load, there's the possibility of ramping up to 3.3GHz - a full 10 steps - with lighter workloads. Now, what's really impressive about this chip is the integrated graphics. Nominally the same HD 2000 as on the 2500 and 2500S, it can dynamically increase to 1,250MHz, or 150MHz higher than the two higher-power Core i5 2500s - not bad for a 45W TDP. 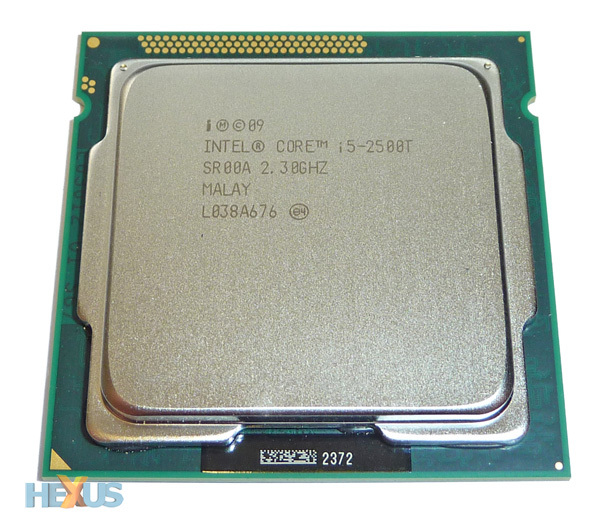 Intel provides you with four choices for the Core i5 2500 processor, priced at near-identical levels. The pick of the bunch from a performance standpoint is the 2500K, because it can be manually overclocked and has the best integrated graphics offered by the company. Core i5 2500 is a good general workhorse but lacks the 'K's two outstanding attributes of user-defined overclocking and fast graphics, and this makes it a poorer buy, in our opinion. Sacrifice a little CPU speed and the OEM-orientated 2500S rewards you with a lower on-paper power rating, broadening its appeal to folk who need a quality processor with a conservative power-draw. Really go for the power-efficiency angle and the 2500T becomes an alluring choice, especially as the integrated graphics is better than on the 2500 and 2500S. Complicated, eh? Presented in the same LGA1155 form factor and thus right at home on any Intel 6-series motherboard, let's examine how the trade-off of power-draw against speed pans out in our benchmarks. If you want to know how we test, head on over to this page. We have tested the four 2500 chips on the same platform - ASUS Z68 - as the Core i3 2100.